"Advancing the Kingdom with music to the glory of Jesus Christ ." Welcome to 3J Cord Productions. 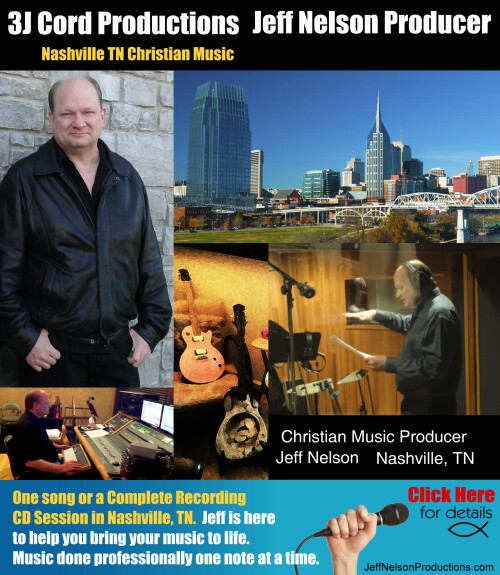 :) Jeff Nelson, GMA Dove Award nominee, is a Christian Music Producer, Arranger and Songwriter in Nashville TN, who has worked with Integrity, Word Entertainment, Maranatha, Here to Him Music, Brentwood-Benson, StarSong and more. Jeff's portfolio include many well-known artists and he truly enjoys "bringing to life" the Indie (Independent) Artists. He and his wife Jenny combine over 30 years each in the music/film/television industry. 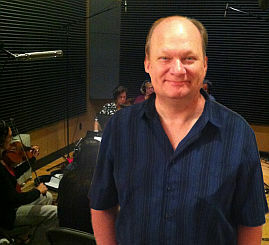 Jeff is here to make your song come alive! HAPPY AUTUMN 2013 : Welcome to 3J Cord Productions! The Nelson’s live and work in Nashville, Tennessee. Their care, advice, and professional guidance not only make each session more than just a sound recording, but also give the Artist an experience of wisdom and leadership from a Christian perspective. Rather than trying to "re-create" an Artist, Jeff encourages the discovery of that person's "new creation", in keeping with Jesus Christ's workmanship in their lives. Arranging songs is like remodeling or restoring a well-loved home: preserving the essence of the Artist’s original intent, yet making each song creatively unique, high in quality, and flavorful to the listening ear. The aim in the production process is to help the Artist release an excellent musical product, while encouraging Godly authenticity in areas of presentation, ministry, and message. "I wrote a song and would like an affordable pro soundtrack. Do you do that Jeff?" Songwriter/Singer RECORD YOUR SONG ! Now you can very affordably have a SoundTrack made of Your Song!